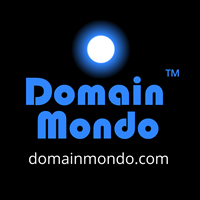 Domain Mondo | domainmondo.com: GAC Oct 17: ICANN CEO, CCWG Co-Chair, Ships Passing in the Night? GAC Oct 17: ICANN CEO, CCWG Co-Chair, Ships Passing in the Night? ICANN CEO FADI CHEHADE: "... AS THE PROTECTOR OF THE MISSION AND THE PUBLIC INTEREST IN ICANN. THAT IS OUR ULTIMATE ROLE. IN FACT, THE BOARD OF DIRECTORS OF ICANN IS THE ONLY PLACE ULTIMATELY WHERE AFTER THINGS GO THROUGH YOU -- AND CLEARLY, GOVERNMENTS HAVE A BIG ROLE IN ENSURING THE PUBLIC INTEREST IS PROTECTED, BUT ONCE IT GETS TO A DECISION POINT, THE BOARD, WHICH INCLUDES PEOPLE FROM THE BUSINESS AND FROM DIFFERENT PARTS OF ICANN, MUST UPHOLD THE PUBLIC INTEREST. IF THEY DON'T, WE LOST THAT OPPORTUNITY. NOW, IF I'M SITTING AT THE BOARD SEAT AND I KNOW THAT IF I DON'T DO WHAT MY COMMUNITY TELLS ME, MY NECK WILL BE CUT TOMORROW MORNING, HOW WILL I REALLY PAY ATTENTION TO THE PUBLIC INTEREST? THEREFORE, IF WE WANT TO REMOVE BOARD MEMBERS, WE SHOULD REMOVE THEM BECAUSE THEY DID NOT ADHERE TO THE BYLAWS, THE MISSION OF ICANN. AN SO OR AC CAN REMOVE THEIR BOARD MEMBER BUT THERE HAS TO BE A PROCESS. IT CANNOT BE THAT WE JUST REMOVE THEM BECAUSE THEY DIDN'T VOTE OUR WAY. THEN SUDDENLY, WE HAVE A BEHOLDEN, CAPTIVE BOARD. THAT'S NOT HOW WE WILL PRESERVE THE PUBLIC INTEREST IN ICANN. SO YES, LET'S HAVE BOARD REMOVAL. HERE WE PROPOSED SEVERAL IDEAS. EVERY BOARD MEMBER COULD SIGN A CONTRACT BEFORE THEY BECOME A BOARD MEMBER. AND THE CONTRACT INCLUDES CONDITIONS THAT THE COMMUNITY COULD SET. FOR EXAMPLE, REMEMBER THE BINDING ARBITRATION I JUST DISCUSSED? IF A BINDING ARBITRATION AWARD SAYS ICANN SHOULD DO X AND THE BOARD MEMBER VOTES AGAINST IT, YOU COULD PUT IN THEIR CONTRACT THAT IF THEY DO THAT, THEY MUST RESIGN. INSTANTLY. THEY'RE OFF THE BOARD. SO WE COULD PUT CONDITIONS TO HOLD BOARD MEMBERS TO THE THINGS WE CARE ABOUT. WE COULD ALSO MAKE SURE THAT THE BINDING ARBITRATION CAN REMOVE A BOARD MEMBER. WE CAN MAKE SURE THAT THAT BINDING ARBITRATION, AS I JUST DESCRIBED BEFORE, OF COURSE, IS ENFORCEABLE. SO THEN YOU GIVE THE ULTIMATE CONTROL OF THAT BOARD MEMBER. I THINK THE CCWG IS MOVING RIGHT NOW AS WE SPEAK IN THE RIGHT DIRECTION OF BRINGING OUR COMMUNITY TOGETHER AROUND COMMON SOLUTIONS. I AM CONFIDENT THAT WITHIN A FEW DAYS WE WILL ALL BE CLEAR ON WHAT THE COMMUNITY WANTS. I THINK WE ARE IN SYNC. IN CLOSING, I JUST WOULD LIKE TO SAY THIS: AS I LEAVE ICANN AND PREPARE TO GO, WHAT AM I MOST WORRIED ABOUT IN THIS PROCESS? WHAT IS THE THING THAT KEEPS ME UP AT NIGHT? WHEN I MEET MANY OF YOUR GOVERNMENTS AND I WAS JUST AT THE ITU MEETING IN BUDAPEST AND MET MANY, MANY MINISTERS AND GOVERNMENTAL OFFICIALS, WHAT THEY ASKED ME, WHAT ARE YOU WORRIED ABOUT NOW THAT YOU'RE LEAVING? WHAT IS TOP OF YOUR MIND? I'LL BE CANDID WITH YOU. I AM VERY WORRIED THAT WE, AT THE END OF THIS ACCOUNTABILITY REFORM, END UP DAMAGING THE MULTISTAKEHOLDER MODEL. IF WE DAMAGE THE MULTISTAKEHOLDER MODEL, WHICH HAD STOOD -- HAS STOOD THE TEST OF TIME, AND CREATE ANY STRUCTURES THAT ACTUALLY MAKE US CAPTURABLE -- AND BY THE WAY, WE ALL THINK OF CAPTURE WRONGLY AS SOMETHING GOVERNMENTS COULD DO. FRANKLY, GOVERNMENTS AT ICANN HAVE BEEN PROBABLY THE MOST COOPERATIVE TO MAKE THIS PROCESS CONCLUDE PROPERLY. I AM MOST WORRIED ALSO OF SHIFTING CAPTURE TO SPECIAL INTERESTS. WE MUST MAKE SURE -- AND YOU GOVERNMENTS, MUST HELP US MAKE SURE THAT ICANN'S STRENGTH IS ITS INDEPENDENCE. ITS INDEPENDENCE. IF WE LOSE THAT INDEPENDENCE, WE LOSE THE MULTISTAKEHOLDER MODEL, WE LOSE EVERYTHING WE HAVE. WE MUST REMAIN INDEPENDENT. INDEPENDENT OF CAPTURE, INDEPENDENT OF SPECIAL INTERESTS, AND INSTEAD SERVING THE PUBLIC INTEREST. THAT IS MY BIGGEST WORRY. AND MY CHANCE, AND YOUR CHANCE, LADIES AND GENTLEMEN, THIS WEEK, IS TO HELP US MAKE SURE WE STICK TO THESE PRINCIPLES AND WE KEEP ICANN DIVERSE, INCLUSIVE, OPEN, AND MULTISTAKEHOLDER. THANK YOU. [GAC] CHAIR THOMAS SCHNEIDER: THANK YOU VERY MUCH, FADI. I NOTE THAT KAVOUSS, OUR COLLEAGUE FROM IRAN HAD TO LEAVE THE MEETING BUT WILL COME BACK. SO HE ANNOUNCED THAT HE WILL WANT TO TAKE THE FLOOR. SO IN CASE I FORGET IT, PLEASE REMIND ME. AND I NOTE ALSO THAT MATHIEU WANTED TO SAY SOMETHING AND THEN I GIVE THE FLOOR TO ALL OF YOU, THANK YOU. MATHIEU WEILL [CCWG CO-CHAIR]: THANK YOU VERY MUCH, CHAIR. NO, I'LL SPEAK IN ENGLISH FOR THIS ONE. AS YOU WILL HAVE ALL NOTED, THERE WAS A LITTLE BIT OF DUPLICATION BETWEEN FADI'S SPEECH AND THE PREVIOUS PRESENTATIONS. I WOULD LIKE TO CORRECT A FEW POINTS ABOUT THE WAY FADI HAS CHARACTERIZED THE WORK OF OUR GROUP WHICH I THINK IS IMPORTANT FOR THIS ROOM TO BE AWARE OF. POINT NUMBER ONE, THE SLIDE DECK THAT FADI HAS INTRODUCED, GIVEN THAT WE'VE HAD MORE THAN 14 HOURS OF MEETING ALREADY IS OUTDATED. I STRONGLY ENCOURAGE THAT YOU REFER TO OLGA'S PRESENTATION AS WELL AS THE ONE WE'VE JUST PROVIDED. BECAUSE YES, THINGS ARE MOVING FAST. SO FOCUSING ON THE MOST RECENT MATERIAL CAN BE VERY IMPORTANT TO ENSURE YOU HAVE EFFICIENT DEBATES AND DISCUSSIONS. SECONDLY, FADI REFERRED TO OUR GROUP AS INVESTIGATING A DESIGNATOR MODEL. THAT IS NOT ADEQUATELY CAPTURING WHERE WE ARE NOW. WHERE WE ARE NOW IS THAT OUR SECOND REPORT IS FOCUSED ON A SOLE MEMBERSHIP MODEL AND THERE HAS BEEN WORK. AND THE WAY TO INVESTIGATE HOW A SOLE DESIGNATOR MODEL WOULD LOOK LIKE BUT IN NO WAY IS OUR GROUP AT A POINT WHERE IT HAS BEEN SHIFTING ITS FOCUS ON SOMETHING ELSE. THERE IS -- IT'S ALSO USEFUL TO REPORT THAT THE ARBITRATION MODEL THAT HAS BEEN PART OF THE BOARD COMMENT IN THE PUBLIC COMMENT HAS BEEN ASSESSED. THERE IS -- THERE HAS BEEN LEGAL REVIEWS WORK IN THE WORK PARTIES ON THIS. AND I THINK A SUMMARY COULD BE THERE ARE SERIOUS LEGAL UNCERTAINTIES ABOUT ITS EFFICIENCY. THERE'S EVEN DEBATE AMONG LAWYERS. THAT'S WHY I'M MENTIONING UNCERTAINTIES ABOUT LEGAL EFFICIENCY. AND FINALLY, I THINK THE DISCUSSION ON THE BOARD MEMBER REMOVAL WAS INTERESTING AND WE GOT FADI'S PERSONAL VIEW ON THIS. BUT IT'S WORTH NOTEING THAT THIS VERY MOMENT WE'VE MADE TREMENDOUS PROGRESS WITH A LOT OF BOARD MEMBERS BEING PERSONALLY INVOLVED IN EXPRESSING THEIR SUPPORT FOR THE WAY FORWARD THAT WE HAVE FOUND, SO I THINK THIS IS A GOOD EXAMPLE OF THE PROGRESS WE'RE MAKING. SO I WILL JOIN FADI IN SAYING THAT WE HAVE LITTLE TIME. THIS IS REALLY THE MOMENT TO ENGAGE, DISCUSS, AND DISCUSS ON THE BASIS OF FACTS THAT ARE ACCURATE AND AVOID SPREADING ANY UNCERTAINTIES THAT MIGHT MAKE THE DECISION HARDER TO MAKE. AND THIS IS OUR COLLECTIVE RESPONSIBILITY. THANK YOU VERY MUCH." The GAC will continue its meeting tomorrow morning, October 18, 2015, 8:30 AM IST (Irish Standard Time time zone converter) which is 3:30 AM ET (US). The GAC meeting will continue on the CCWG-Accountability (Enhancing ICANN Accountability) issues.